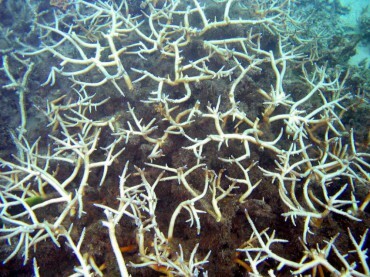 It is now a known fact that corals are threatened by global warming. Some scientists are even predicting the end of coral life by 2050. Meanwhile, there is still a mystery to solve : how some corals in American Samoa have resisted centuries of climate change to become giants and how others are thriving in waters so warm that it is considered deadly ? The biologists Kelley Anderson and Brian Von Herzen are working on Airport Reef, a coral reef that owes its name to its proximity with the airport of the island. What they discovered on one morning of April 2009 astonished them: the reef they left agonizing the day before had literally risen from the dead. 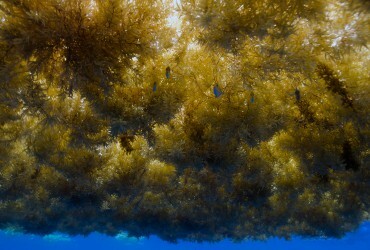 The Staghorn corals (named after its resemblance with the animal’s antlers), have strangely regained their colors, although 35 hours earlier, the coral branches were critically bleached. This white color clearly means that the tiny unicellular algae named zooxanthellae that live in symbiosis with the coral, feeds it and gives it its colour, has expelled itself from its host. The two biologists never would have imagined such a quick recovery. How did the coral got its zooxantellae back so quickly? 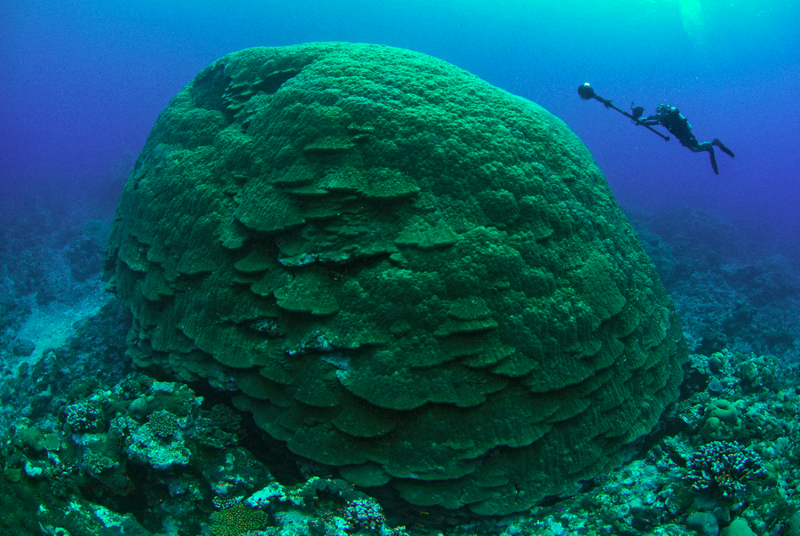 To achieve this, the corals just barely needed a little help from the two scientists. They placed a huge hosepipe near the reef and extracted the reef’s seawater to make it pass through a cooling device on the beach. This device diminishes the water temperature of one degree before sending it back on the same reef. A little less than 36 hours later, the zooxantellae have returned to their hosts to give them back, among other things, their colours. This wild idea consisting of cooling down the water with a generator was born a couple of years ago, from Douglas Fenner’s observations. 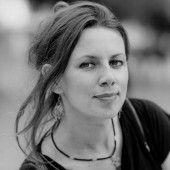 Fenner is a passionate biologist who has been exploring the American Samoa’s waters since 2003. At that time, he was working for the Department of Marine and Wild Resources (DMWR) for the government. His study pointed out that every summer the airport Staghorn reef would bleach and then recover its colors during the winter. It is important to point out that bleaching doesn’t mean that the coral is dead. 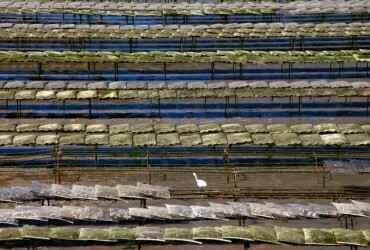 When the water temperature rises to a critical level, the zooxanthellae leave their host. 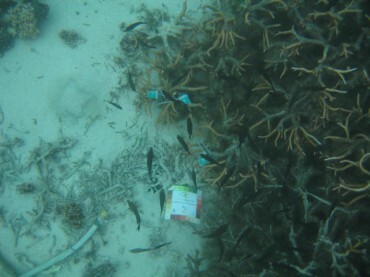 Consequently, the coral loses its sources of nutrition. 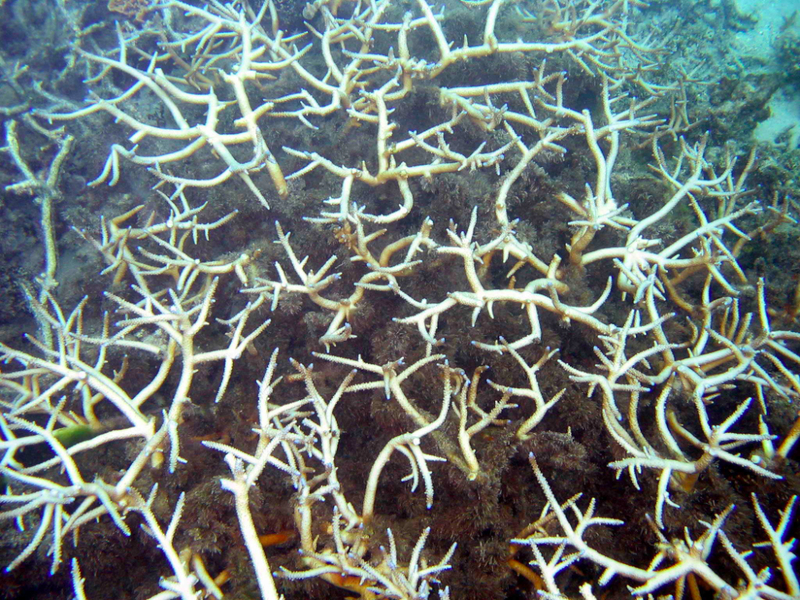 Eventually, without the tiny unicellular algae, the reef will end up dead. But during a short period of time, it struggles. Before knowing about Douglas Fenner’s research and observations, Brian Von Herzen tested between 2007 and 2008 some experiments: he extracted cold water from the bottom of the ocean thanks to a floating pump device in the middle of the ocean. When he met in the US the young biologist Kelley Anderson, who just obtained a student grant for her coral studies, they both were really enthusiast about finding an idea to cool the coral reefs in order to protect them against global warming. 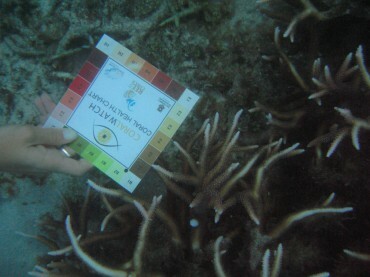 The young scholarship researcher proposed another option: to use the reef’s water and cool it down. The project seemed exciting, but they were left with another problem: finding a suitable spot to experiment. In 2008, at the International Symposium of Fort Lauderdale (Florida), Douglas Fenner presented his findings on Airport reef’s corals. Doctor Brian Von Herzen is amazed by the phenomenon. He quickly informed Kelley about it and a decision was made. The American Samoa heat resilient corals associated with Douglas Fenner’s discovery definitively convinced the two biologists that Tutuila offer a perfect exploration ground for their research. Thanks to the Samoa prediction, Brian Von Herzen and Kelley Anderson presented their project to the Pacific Islands Cooperation on Climate Changes (PICCC) which gave them the financial resources to start their research. Once their cooling system put in place on the beach, the biologists went snorkelling. The first experiment being a success, the scientists decided to go further. Kelley moved the water hose and turned it on other spots. The results went beyond their best hopes: on four different colonies tested, three reacted even faster. For the local coral expert, Douglas Fenner, who is still on a daily basis observing the ocean’s depths of the American Samoa islands, Tutuila Airport Reef is still one of the most exciting research spot to study coral bleaching, because of this rare and unique predictability that seduced Kelley Anderson and Brian Von Herzen. In opposition to corals that will need more shade in the years to come, the American Samoa archipelago will definitively need a maximum spotlight, if one day, we wish to give maximum chances to coral reefs around the world. Pierre* is an officer in the French merchant navy as there are thousands across the world. Yet, after a six-month mission to Nigeria, he returns with a first hand account. 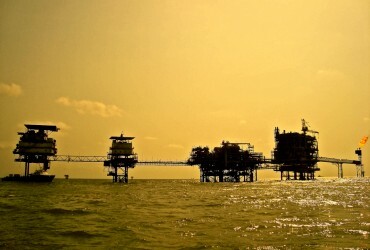 The experience of a man who has worked in the very closed oil world in the Gulf of Guinea. Pierre was not laid off. He has simply decided to stop working in this little known hell.